Since 1996, Alec Bradley has been an industry leader producing hand-rolled cigars that feature premium long-fillers and rich aged tobaccos. 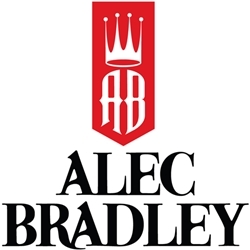 Every Alec Bradley premium cigar offered here at our online cigar store is handmade and crafted individually by highly skilled master rollers at the Alec Bradley Cigar Company based in Honduras. Each of these premium cigar creations offer a wide range of blends, bodies, and flavor profiles that deliver a mass-market appeal to cigar connoisseurs , making Alec Bradley a leader in the cigar industry, winning numbers of awards and garnering numerous 90+ ratings in leading cigar publications. Smokers Discounts believes you'll love Alec Bradley premium cigars. Every one of these hand-rolled cigars can be delivered right to your doorstep. We’ve made it affordable and easy to buy premium cigars online. A variety of sizes and flavors are listed below in our online cigar store. Each of these styles are in stock and available today for a low discount price. Call us for more details!